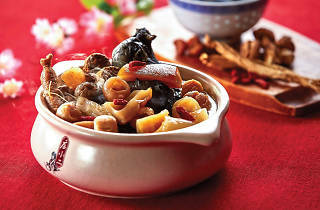 Usher in an auspicious year with Dian Xiao Er’s classic signature set menu ($588 for 10 people). Raise your chopsticks and toss to good fortune with its Prosperity yu sheng featuring fresh slices of premium Norwegian smoked salmon. 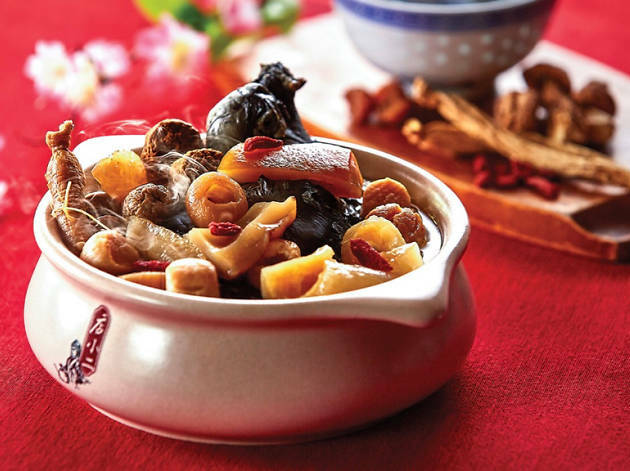 Bond with your family over tantalizing dishes such as the golden spiced crayfish, scallops in XO sauce and the nutritious double-boiled collagen Brazilian mushroom soup.